Rats as Big as Cats: I'm in love with a Russian. In one of my much needed dissertation breaks I rediscovered Pinterest. I heard about Pinterest back in it's beta days but never really got into it. I am never sure where the line between inspiration and copying is so I tend to steer away from it when I am in the middle of design work. I also get dreafully addicted to things and Pinterest is one of things people seem to lose hours and hours to. What better time to re-invigorate my distraction tendencies than during my writing time?!?! 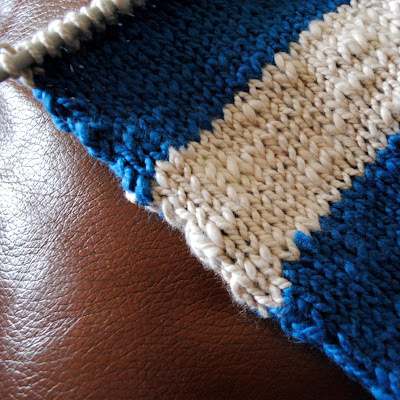 I hate weaving in the ends of yarn when I'm knitting so I steer away from knitting anything with stripes like the plague. Which is really annoying because my go to outfits all involve a lot of stripes. Despite this personal hatred of end weaving I recently started what has been affectionately termed my Mr. Bump scarf. It is striped. And long. And full of ends that need to woven in. But it's not finished yet. This mythical god like solution to end weaving which seemed to good to be true came at the perfect time. And Oh. My. God. It only bloody works. Look no ends to weave in!! The only problem I have with it at the moment is getting the right length of yarn in the join so the colour change is right at the beginning of the row. 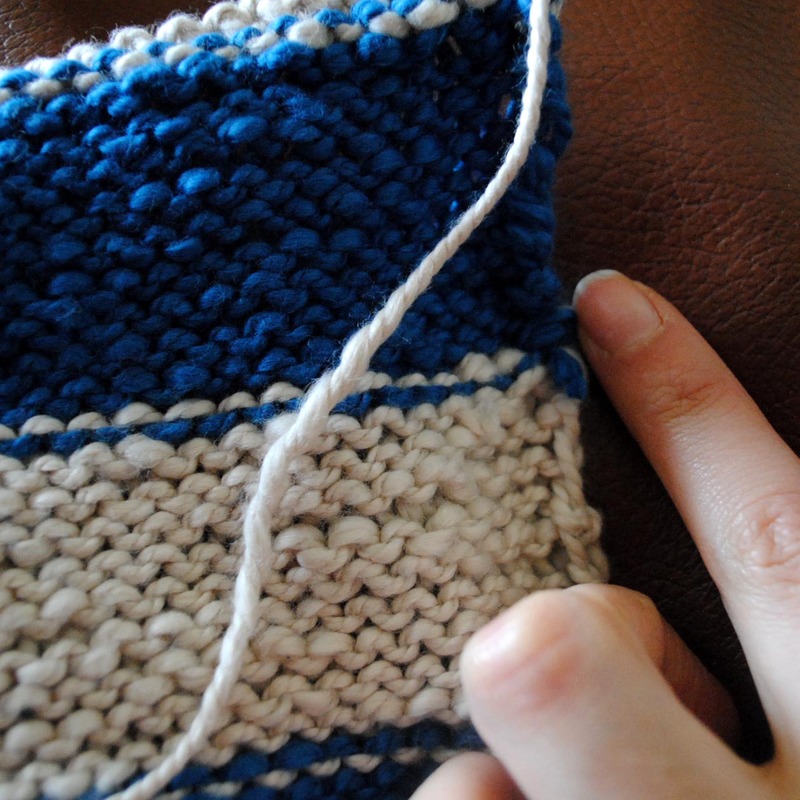 Lucking with the uneven nature of this wool you don't really notice that the row starts a stitch or too early. I am getting the hang of it quickly and love it. LOVE IT. 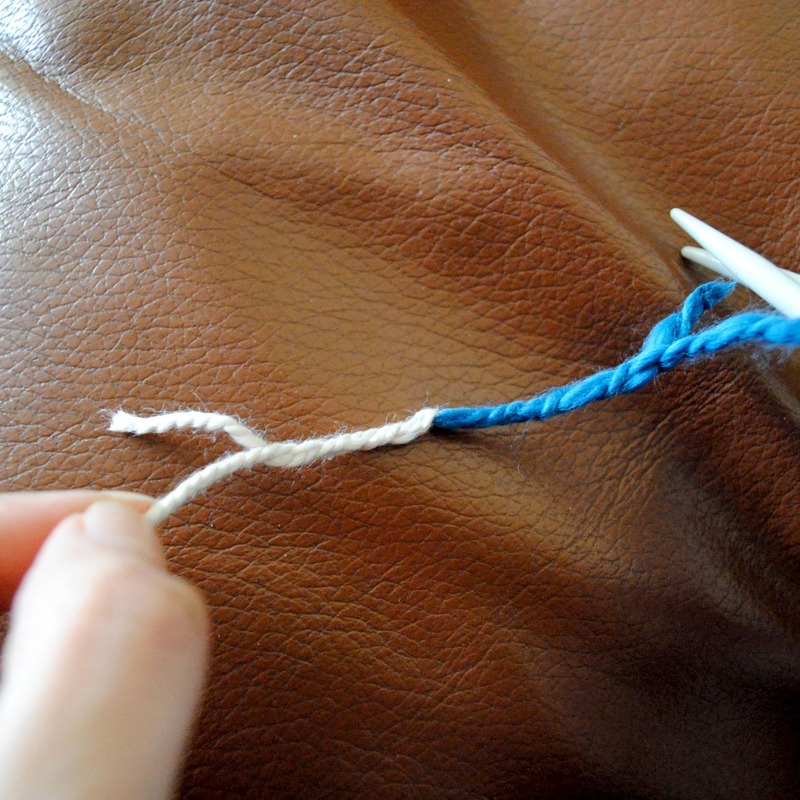 I'll have to see how well the join holds up but at the moment it looks much sturdier than my lack lustre woven in ends generally are. 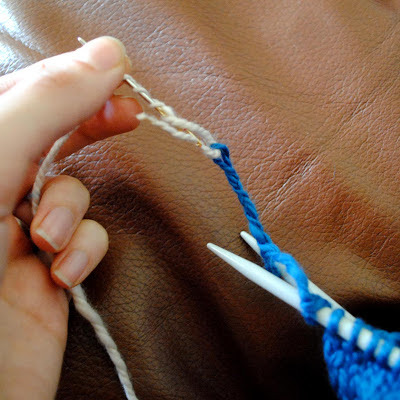 For any knitters or crocheters out there who also hate the weaving in I urge you to give this a go. It's amazing.